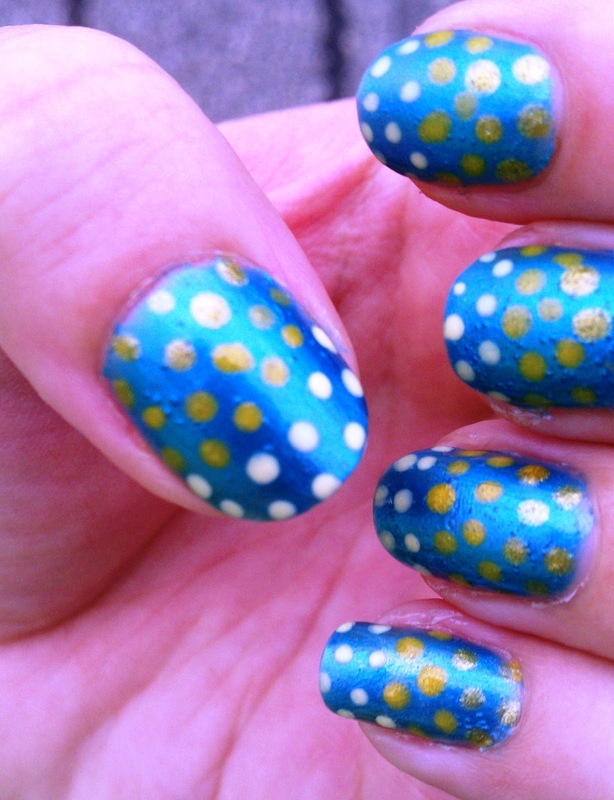 Quick Summer Dots Nail Art! of last minute!) before and outing the other day. was layering the top coat on too quick, but what can you do. 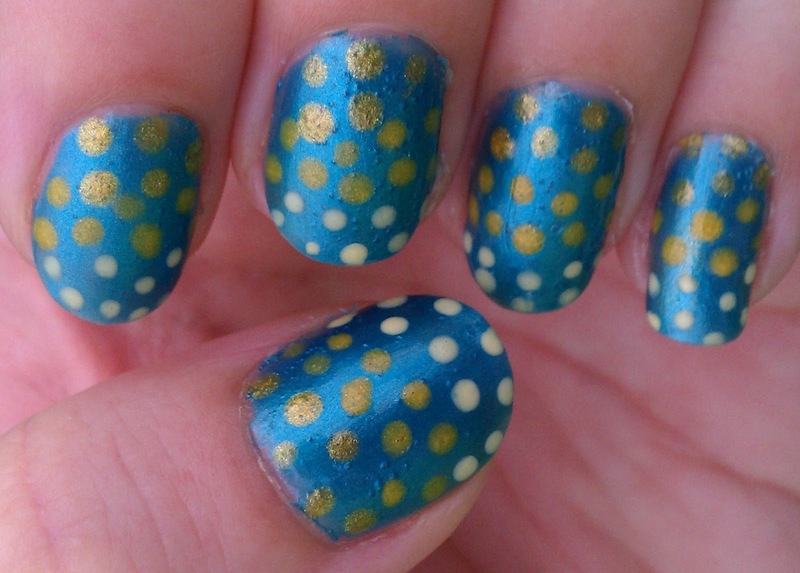 I used several yellows and golds as the dots to add a little gradient effect to it. Nothing fancy, just wanted to have SOMETHING on my nails when I went out!